Having been a practicing consultant in project management for more than twenty five years, his long career in program and project management brought him in contact with various project management methodologies and best practices in private as well as public organisations. This includes PMBOK, Method 123 as well as PRINCE2 environments in the fields of software development, service delivery, quality and general management. Certified as a Project Management Professional (PMP) since 1998, he also holds several other portfolio, program and project management certifications such as certificates in Portfolio, Programme and Project Offices (P3O), Managing Successful Programs (MSP) and PRINCE2. He also holds certifications in IT Service management (ITIL) and Total Quality Management (TQM). 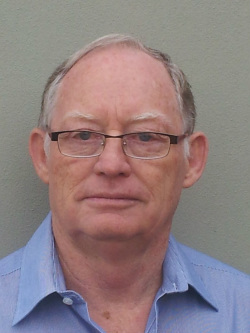 Dave has been providing training in project management, quality management and business analysis since 1999. As freelance trainer to several well known and international training providers he has obtained invaluable experience on the best training practices to be utilized. His training experience includes training from entry level to experienced project managers, including PMP/CAPM certification preparation. He also facilitates other project management and related specialist aspect courses such as project risk management, project quality management, project contracting and project scheduling. Dave brings his theoretical knowledge linked to vast practical experience into the training environment with a genuine desire to assist delegates in becoming practicing project management professionals. Valuing a relaxed and enjoyable learning experience, he loves sharing his passion for project management through actual examples dished up with a touch of humour.